Join us at the Community Idea Stations for an evening of film and conversation about one of nature’s most mysterious and unique ecosystems - the Florida Everglades. 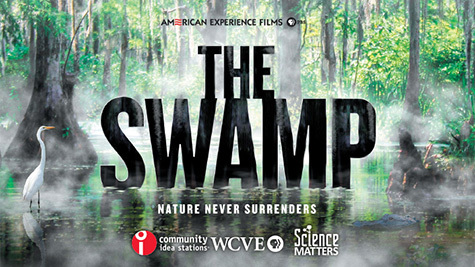 The PBS/American Experience film, The Swamp explores the repeated efforts to transform what was seen as a vast and useless wasteland into an agricultural and urban paradise, ultimately leading to a passionate campaign to preserve America’s greatest wetland. The story is told through the lives of a handful of colorful and resolute characters, from hucksters to politicians to unlikely activists. As the world copes with increasingly deadly weather events, The Swamp is a timely tale of the perils of mankind’s abuse of nature. Based in part on the book The Swamp: The Everglades, Florida, and the Politics of Paradise by Michael Grunwald, The Swamp is produced and directed by Randall MacLowry and executive produced by Mark Samels. Producer/Director Randall MacLowry will speak and discuss your questions at the event.